Ogle County Federation of Women's Clubs. preserve and disseminate the History of Ogle County and the State of Illinois." turn right 1/4 mile to sign. square, with long porches and high ceilings. daughter, Miss Ruby Nash, taught school for 50 years from 1891 to 1941. Nash School, now Nash Recreation Center, was named after her. 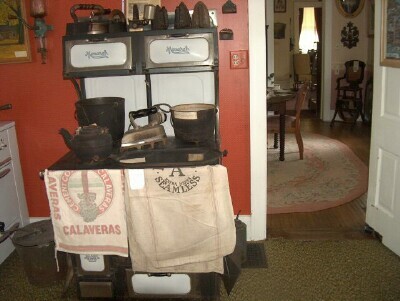 Come; step back in time and see the way people lived in the late 1800's. 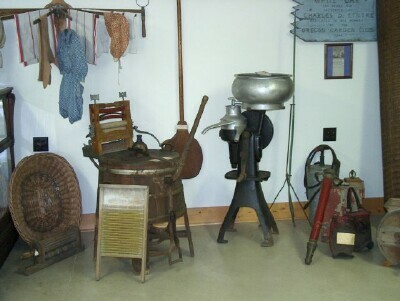 showcase of antiques and artifacts from all over the county. 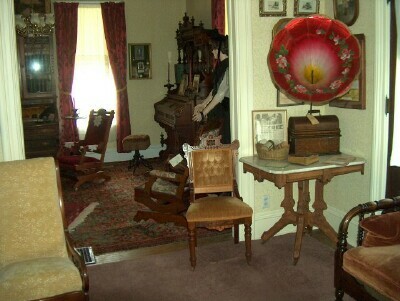 which was played at Illinois Governor Ford's inauguration in 1842.
bequest enabled us to purchase the Nash home. County and a large 1864 map of the county. with the "Pink Lady", a bust of a young woman attributed to the sculptor, Lorado Taft. Clothing of the 1880's, including several wedding dresses. Pictures from the Governor Lowden and Mrs. Lowden's train case and fan. Picture's of the "Owls" Club (be sure to ask about this story). Kitchen exactly as it was built, with old cast iron range. Patriotic Room containing memorabilia from all the wars, including a branch of a tree with shrapnel and small cannon balls imbedded in it brought back to Ogle County by local soldiers. Annex is full of interesting artifacts. Nash school bell, the Ferry bell from Grand Detour, Illinois, side saddle, treadmill, spinning wheel, and broom maker, to name a few. It also contains a model of Chester Nash's cultivator. View a large display case containing flags carried during the Civil War, with a list of battles in which county natives fought. 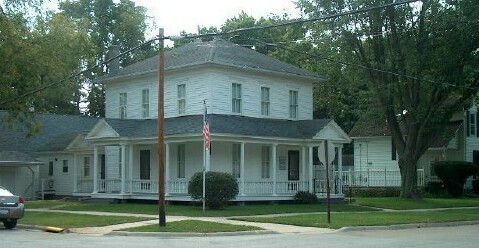 Ogle County Historical Society Museum.